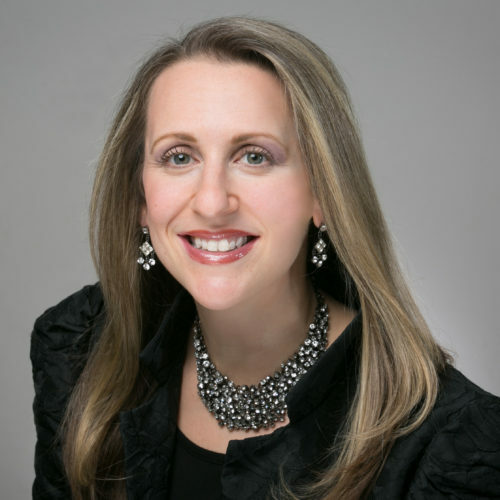 Cantor Lisa Shapanka Arbisser brings a passion for Jewish music and a profound dedication to Jewish community life and learning to her role as cantor of the SAJ. A 2009 graduate of the Debbie Friedman School of Sacred Music at the Hebrew Union College – Jewish Institute of Religion, Cantor Arbisser won awards and honors including the Rabbi Edwin N. Soslow Memorial Prize in Jewish History and the Cantor Israel Goldstein Prize for Excellence in Hazzanut. In addition to nusach and traditional hazzanut, Cantor Arbisser strives to include a variety of Israeli, and Chassidic music, as well as American folk, jazz, and rock, into services at the SAJ. Her thesis and senior recital at HUC-JIR were entitled “Mizug: A Fusion of Jazz and Synagogue Music,” and explored how American Jewish musicians are contributing to the sacred and secular American Jewish musical milieu and Minhag America. Cantor Arbisser has been fortunate to study with extraordinary teachers, both in the cantorial school at HUC and as a Maven with Storahtelling (currently Lab/Shul). Their influences led her to compose synagogue music and Jewish music for the home. She strives to pass on her teachers’ inspiration to her students, both children and adults, to help them find their own voices in prayer, study, and Jewish living. Most recently, she appeared on The Afro-Semitic Experience’s 2011 album “Further Definitions of the Days of Awe.” Cantor Arbisser has performed at Carnegie Hall and Merkin Concert Hall in NYC, as well as in England and Israel. Cantor Arbisser co-leads services with Rabbi Lauren Grabelle Herrmann and organizes the Torah and Haftarah readings. She has welcomed a variety of guest artists and musicians to the SAJ, including The Afro-Semitic Experience, Noam Katz, and Matthew Check’s Bluegrass Shabbat. She also teaches t’filah and music in SAJ’s after-school education program, and she runs SAJ’s two-year family education program, the B’nei Mitzvah Experience. Together with her husband Micah and their three children, she enjoys sharing the many Jewish holidays and Jewish life experiences with the SAJ community. Please contact Cantor Arbisser at 212-724-7247 or cantorlisa@saj.nyc.